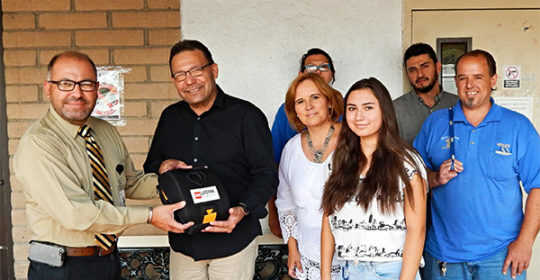 On Thursday, June 14th, Mariposa Community Health Center donated a new Automated External Defibrilator (AED) to the Crossroads Nogales Mission. 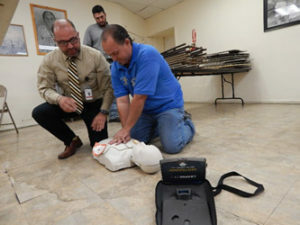 Gabriel Martinez, Mariposa’s Lab & Safety Manager was present with Daniel Treviño, Mission Supervisor, and other Mission staff to receive the new AED for their facility, in addition to CPR training and certification. Mariposa is pleased to be able to support the Mission in learning critical life saving techniques and having the necessary equipment to be able to do so.